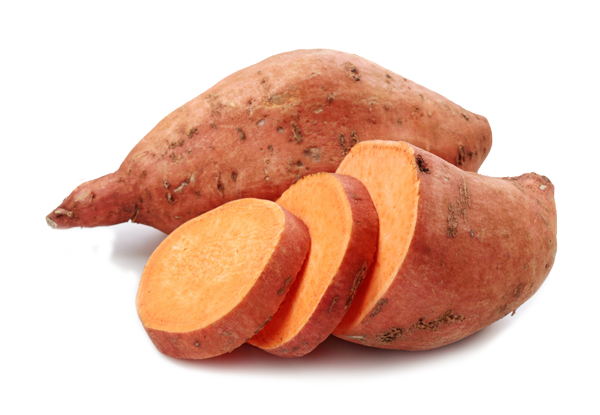 This week we celebrate sweet potatoes while they are in the peak of their season. Although they are a traditional holiday favorite, why not enjoy the great taste and nutrient-richness of sweet potatoes throughout the year? Rich in beta-carotene, sweet potatoes provide you with powerful antioxidant protection against damage to cellular structures and DNA. Sweet potatoes don’t have to take a long time to prepare. Cutting them into 1/2-inch slices and Quick Steaming them for just 7 minutes not only brings out their great flavor but helps to maximize their nutritional value. And you can add cinnamon, nutmeg, and/or cloves for extra flavor and nutrition.